The ANtarctic geological DRILLing program, or ANDRILL, decided to do some geological drilling in the Antarctic. Once it was clear that a career on stage as an ANDRogynous ILLusionist wasn't going to work out, the options were limited. 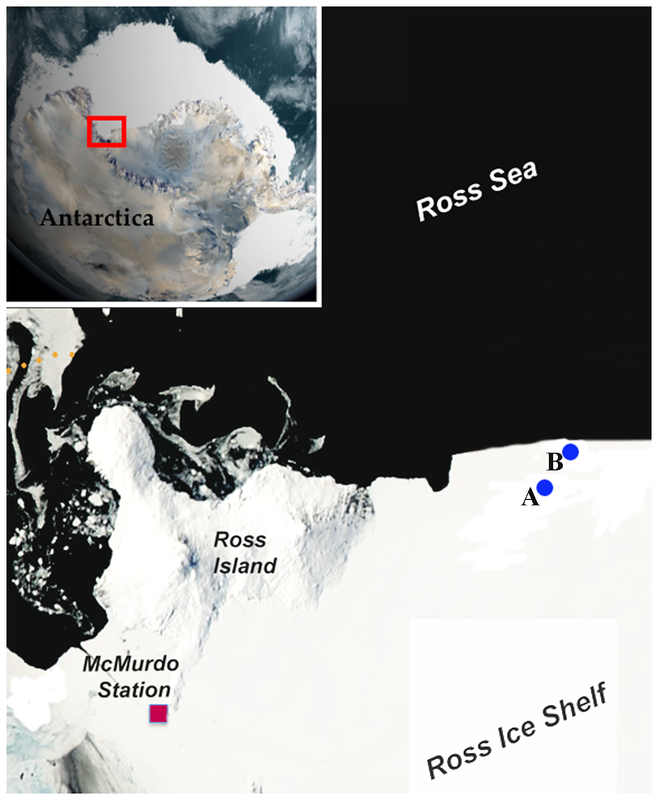 So off they went to the Ross Ice Shelf, carrying with them a gigantic amount of hot water, only some of which was for tea and coffee. They drilled through the 250 metres of ice beneath their feet until they reached the cold, sea water below. 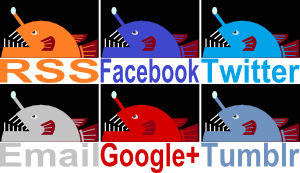 They lowered their remotely controlled submersible into the depths and then... they looked up. Embedded within the ice, tiny, ghostly arms reach out, extending their soft fingers into the freezing darkness. The Many-fingered Ones are coming! The Many-fingered Ones are coming! Leave this place if you value your life! That's my response, anyway. Thankfully, and appropriately, cooler heads prevailed. And thus, we find the strange and mysterious Edwardsiella andrillae. It's a burrowing sea anemone with the long, wormy shape common among their kind. 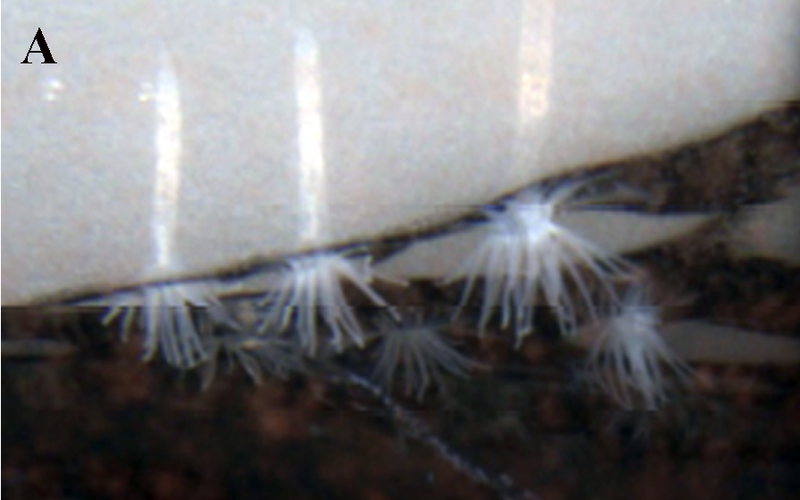 However, while the others usually burrow into soft sediment, E. andrillae makes its home within solid ice. 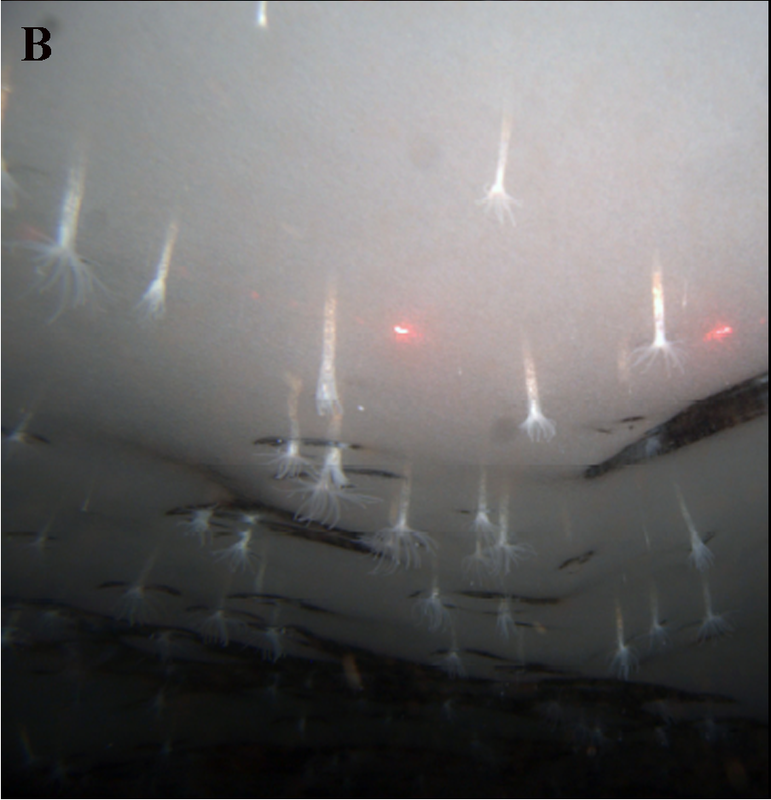 Almost all of their 2 cm (0.8 in) long body is embedded within the glacier, and just their tentacles emerge to capture tiny prey from the water. 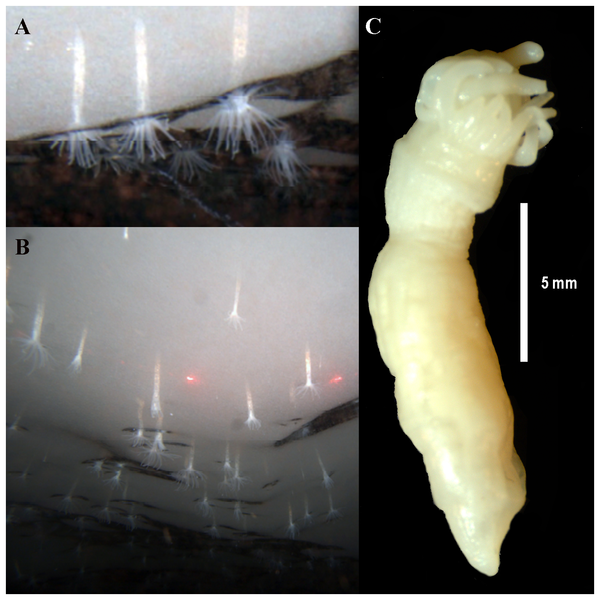 How these creatures survive the cold and create their frozen abode is not known since anatomical studies haven't revealed anything markedly different from any other, ordinary sea anemone. The Many-fingered Ones hypothesis has yet to be refuted. crazy climate to live in! @TexWisGirl: I know! They're really scraping the barrel with that one, haha! @Ishrat: Yeah, they look very spooky! Oh make no mistake, they know the truth. They know what keeps these monsters alive, what feeds them. But that revelation has driven them all insane, and were they to share it with you in any sufficient detail, you too would lose your mind. Quite the moral quandary! Leave us in our ignorance or inform us and risk the end of civilization. Either way, we're probably doomed. There's comfort in that, at least.